The Coalition is sponsored by the U.S. Department of Energy’s Vehicle Technologies Program and is charged with building partnerships to reduce petroleum use in Delaware’s transportation sector. It is part of a national network of clean cities coalitions. The coalition is made up of over 40 stakeholders from state and local governments, Delaware businesses, fuel suppliers, vehicle retailers, fleet owners, non-profit organizations, and other interested parties. It provides tools and resources for voluntary, community-centered programs to meet its goals. Alternative fuels are substitutes for gasoline or diesel that are used to produce power. Alternative fuels include electric, propane, natural gas, hydrogen, biodiesel, and ethanol. Alternative Fuel Vehicles (AFVs), which use one of the aforementioned fuels, are becoming increasingly popular. As the technologies for Alternative Fuel Vehicles have improved, costs of AFVs have come down. And AFV owners save more when oil prices increase. Members of the Delaware Clean Cities Coalition contribute technical expertise to the Coalition and support and participate in the efforts of the Coalition to increase the use of alternative fuel vehicles in the region. If your organization is interested in becoming a Coalition Member, please contact Kathy Harris, the Delaware Clean Cities Coordinator. More information about the Clean Cities Program. Info, data, and tools to reduce petroleum consumption. Find alternative fueling stations by address, zip code, or state. Videos and updates on everything Clean Cities. Find and compare alternative fuel vehicles. A guide to 2016 model year alternative fuel vehicles. Calculate your fleet’s emissions and potential savings. Find the right vehicle for you, based on your driving habits. Alternative fuels-related laws & incentives in Delaware. Alternative fuels-related laws & incentives at the federal level. Federal tax credits for electric and plug-in hybrid vehicles. 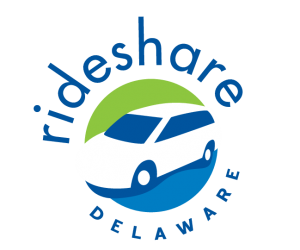 Rebates for new clean vehicles in Delaware. Rebates for new alternative bi-fuel vehicles in Delaware. Rebates for new heavy duty clean vehicles in Delaware.